Cathy Lynch and Gigi Hayes of the Barnegat branch participated in the 18th annual Pirates’ Day in downtown Barnegat on Saturday, September 11th. 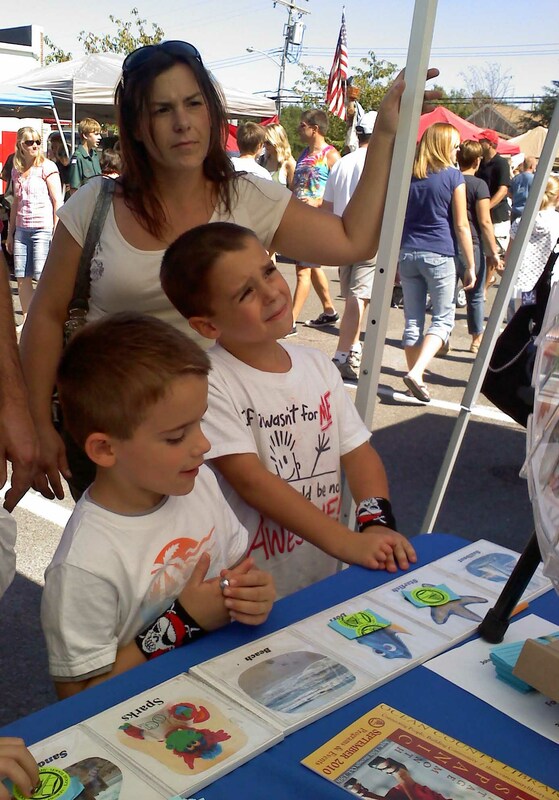 The library booth was visited by hundreds of would be pirates from across Ocean County and as far away as Ridgewood, NJ. Over 300 people entered to win a gift basket filled with library goodies. Countless numbers of child pirates in training hoped to win a piece of library booty by playing the library’s spinning wheel, while we answered questions about the library system and upcoming programs at the Barnegat branch. The pirates & pirate wannabes were treated to a special visit from SPARKS! There is a banner advertising BookFest up across Washington St. located B/W the town hall & Capone’s. 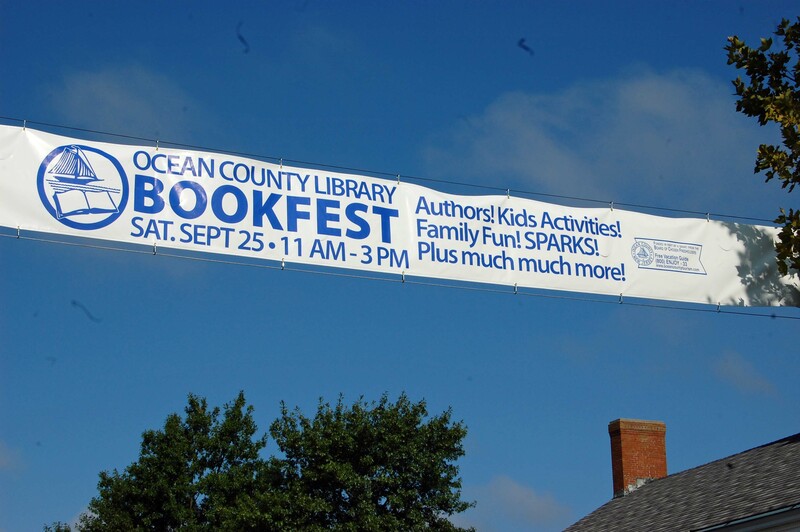 Many thanks to Toms River FD #1 for putting up the banner for the library. 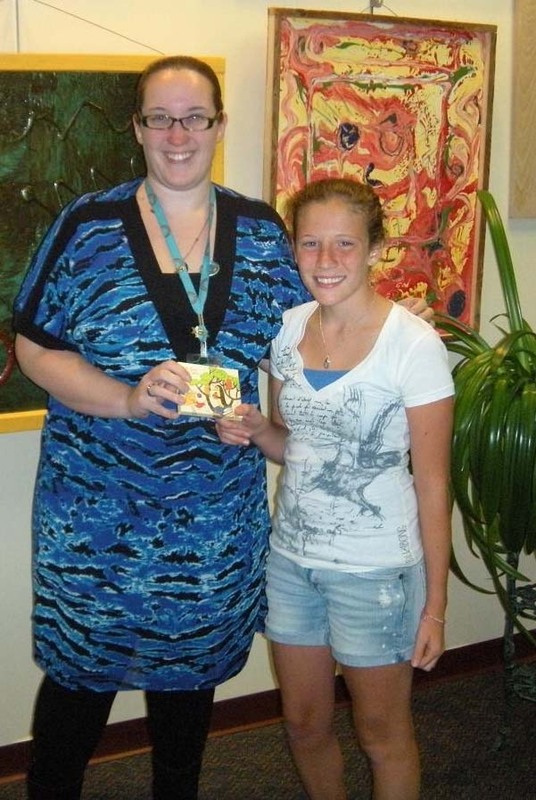 Shannon Rainsford, winner of the teen senior reading raffle, receives a $50 Barnes & Noble gift card from Senior Librarian Samantha Gordano Teen Services at the Barnegat branch of the Ocean County Library. The Rat Pack Tribute brought down the house with an evening to remember where audience members became a part of the show. 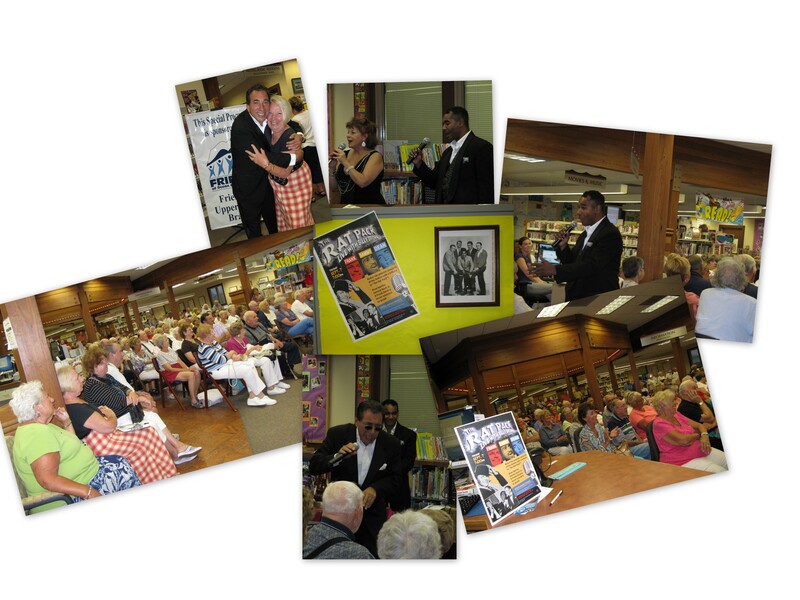 The standing room only crowd enjoyed music and comedy with Billy Brown, Caroline Hester, and born entertainer Johnny Petillo of the Duprees and Danny & the Juniors. Thank you Friends, for sponsoring this gangbuster event!